Moorim School is a fantasy action drama centered around an enigmatic school hidden from the world and students with powers unbeknownst to themselves. As the students try to make sense of peculiar incidents happening at the school, they uncover secrets about the school and about themselves. I haven’t had too much exposure to this genre of drama, so I was quite interested initially. Unfortunately, the execution was a huge let down. Due to a poorly written plot, inadequate special effects, and subpar acting, the drama failed to get a passing grade in my books. Moorim School tried to build up a series of predictable mysteries and seemingly intricate plots that just didn’t leave me with excitement, but rather, boredom. I also found the characters to be incredibly inconsistent and shallow — another testament to the drama’s lack of attention to details. 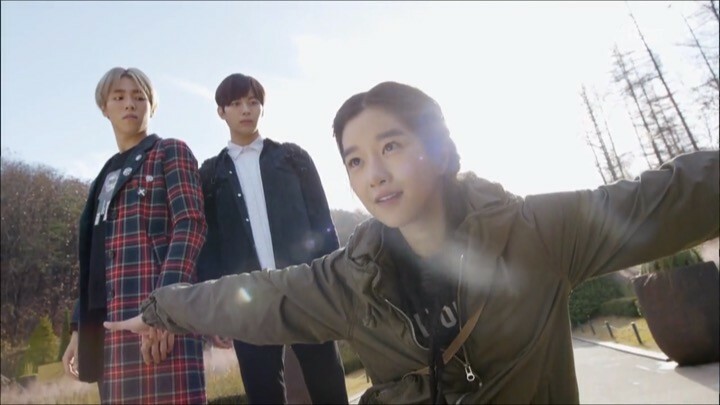 The first four episodes of Moorim School set up the premise, key characters, and main conflicts. The drama shows immediate weakness with a feeble intro where it attempts to orchestrate a complex plot, only to fall short at grabbing my attention. Moorim School is a martial arts school located deep within a forest, and only those with special powers can open the seal to find it. Our protagonist are two equally arrogant, privileged, and competitive boys who meet at school. Yoon Shi Woo (Lee Hyun Woo) is an idol and an orphan with little recollection of his past. He ends up looking for cure at Moorim School when his ear starts to buzz, causing him excruciating headaches. 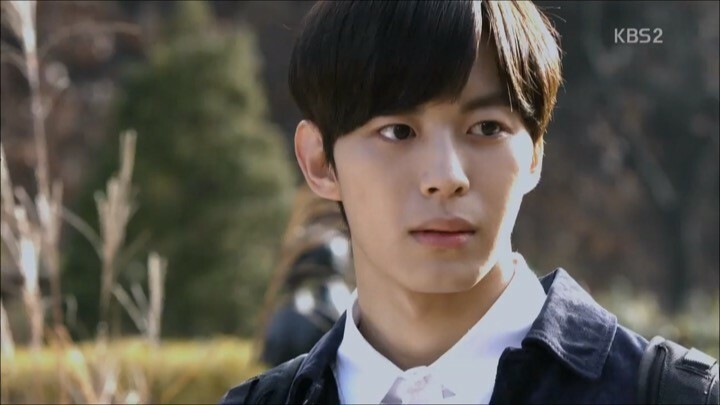 Wang Chi Ang (Lee Hong Bin) is the illegitimate son of a wealthy Chinese business man who also came searching for Moorim School at his father’s request. Chi Ang hides his own scars with bratty attitude and selfishness. The boys happen to arrive school at the same time, creating confusion as to who truly possessed the power to open the seal. However, they both start to attend school without any problems, so I’m left questioning why it was important to mention who opened the seal. Soon, the two bickering strangers become rivals, and adjust to school life relatively well. One thing bothersome to me is why Chi Ang didn’t asked his father any questions about why he needed to attend Moorim School or how he knew of the school in the first place. I know this is just a stepping stone to a much larger plot, but the writers do a disservice to Chi Ang’s character in having him be so one-track minded, only focusing on his rivalry with Shi Woo. And of course, we have our two girls who complete the standard Korean drama love square. Shim Soon Duk (Seo Ye Ji) is a hard working girl, who earns money for her family consisted of her blind father and father’s care-taker, all the while attending Moorim School in secrecy, as her father prohibits it. Hwang Sun Ah (Jung Yoo Jin) is the school dean’s daughter, and an avid fan of Shi Woo. The drama shows immediate weakness with a feeble intro. Both girls are assigned to the boys to help them train for the upcoming exams. Chi Ang and Sun Ah are paired together, while Shi Woo team up with Soon Duk. I can already see the drama’s intended direction of romantic relationships. The latter pair starts to spend a lot of time together much to Chi Ang’s dismay. While the boys are falling deeper into infatuation, Soon Duk hasn’t really shown signs of liking either of them, so it’s all just one-sided love at the moment. I do hope that as the drama progresses, Soon Duk’s character is given more attention and development. The plot starts to thicken as Moorim School begins to drop hints throughout these episodes at a much larger conspiracy. We constantly see that Chi Ang’s dad planning something throughout the course of the drama. He’s looking for the Chintamani, a secret treasure that holds formidable power that allows its owner to control the world. I’m kind of intrigued as to what’s happening beneath all this, though some if it may end up being cliche. Nonetheless, a major focus of the story is fleshing out the personalities of the main kids at school. We learn a little more about the backstories of Shi Woo and Sun Ah. The drama seem to imply that they may be siblings, as they both have similar trauma involving fire. We also see scenes of an unconscious man in a coma. He later awakens only to find out that his wife died in a fire, and that his children’s bodies went missing from the incident. 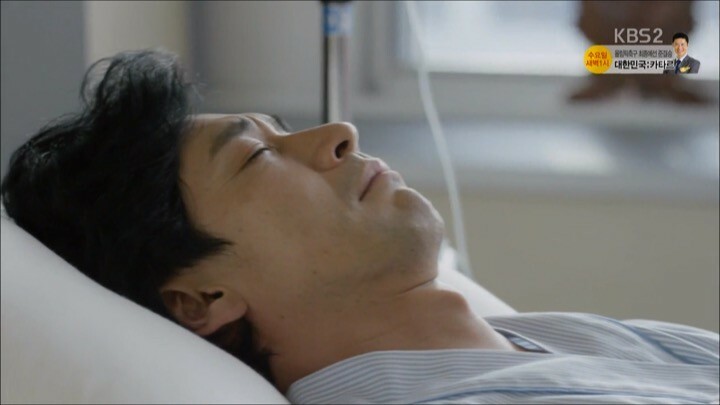 It’s easy to assume that this man, Chae Yoon, is likely Sun Ah and Shi Woo’s dad. The drama’s use of hints is way too obvious, much to my disappointment. It takes away the viewer’s sense of anticipation and the fun in mystery guessing. Instead of getting excited at the prospect of this puzzle being unravelled, I now find myself just wondering when they’ll meet and resolve this issue. On the romance front, Soon Duk and Shi Woo start to rely on each other a little more. She buys him a notebook for his music, to which he responds by kissing her. This type of sudden kiss scenes aren’t anything new in Korean dramas, but I genuinely felt that Soon Duk’s feelings came across more as friendship than romantic interest. As such, the love line falls a bit flat and the drama didn’t sell the romance as well as they could have. In these next episodes of the drama, we learn why Soon Duk’s dad is so vehemently against her attending Moorim, and how it ties into his past. It becomes one of those common Korean drama tropes where the dad hides his past, causing his child to get the shorter end of stick. The same thing is subtly happening with Sun Ah and the Dean as well. He refuses to let her go out, and even when she gets permission to go on the school trip, he puts a tracker on her. I find hiding things like this from the kids is excessive and a recipe for disaster. Because the adults in the drama are so secretive, the students end up suffering for their lack of transparency. Furthermore, there were two things — our main couple’s relationship and Chi Ang’s incohesive character — that stuck out to me during these episodes because they highlighted the over-dramatic nature of the writing. Firstly, Soon Duk tries to avoid Shi Woo after their kiss. I find this a little contrived and unnecessary as we all know she starts to like him anyway, which happens suddenly rather than naturally. The inconsistencies with Chi Ang show that the writers don’t know what to do with his character. Secondly, in an argument over Soon Duk, Chi Ang breaks a glass in his hand, which is just one example of his temperament. Chi Ang constantly flip flops between being jealous and aggressive, and being kind and caring. He also learns that his dad sent him to the school to become the best and simply takes it at face value, thinking that becoming the best at the school will secure his inheritance of his father’s company. Even though I think that his father sent him to scope out the situation without his knowledge. At times, Chi Ang seems to be perceptive, even questioning if a certain incident was the result of his dad, but other times, he seems to read the situation only at its surface and is too hot-headed to care. In truth, I think all these inconsistencies with Chi Ang boil down to the fact that the writers don’t know what they want to do with his character. 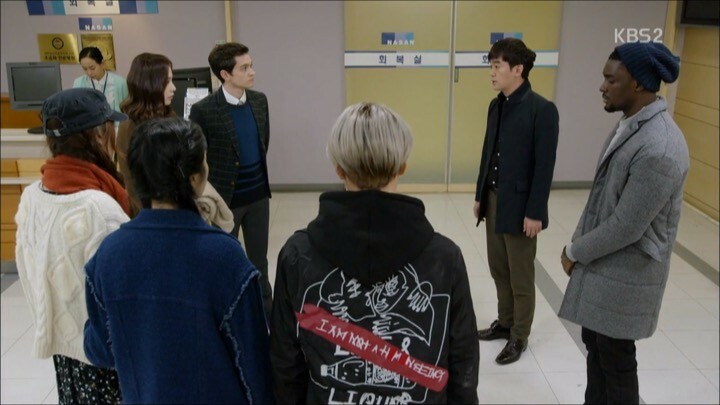 Meanwhile, the students of Moorim hear about the Chintamani when the Dean’s office gets ransacked. Apparently, the key to the Chintamani was split into three pieces, and the school is in possession of one of the pieces. It looks like from here on out, the drama’s main focus will be about the mystery of Chintamani as well as the continued rivalry between Chi Ang and Shi Woo. It took a long enough time for Moorim School to get to the core of its plot, and it could have gotten there in a much more engaging way. 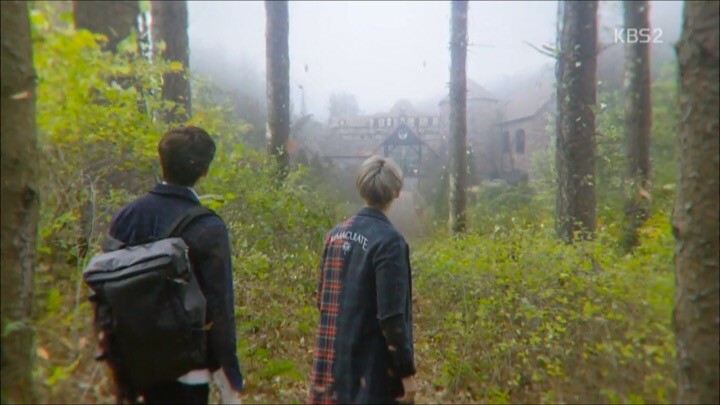 The mysteries lead the course of this section of Moorim School, where things are partially revealed, so that they can be resolved in the final episodes. However, the drama’s pacing has been reduced to a complete mess. It seems to drag on slowly at times, and move fast paced at others. If the drama kept the important parts, and cut out all the time spent on Shi Woo and Chi Ang’s unnecessary rivalry, it easily could have been a clean 12 episodes. The drama’s pacing has been reduced to a complete mess. It’s also become apparent that the characters are now extremely one dimensional. Shi Woo represents all that is good with a lack of any other personality traits, while Chi Ang is obsessed with becoming the best and turning more extreme by the day. Instead of being well-rounded, smart, and likable characters, they serve as a reminder to the lack of thought in the writing. 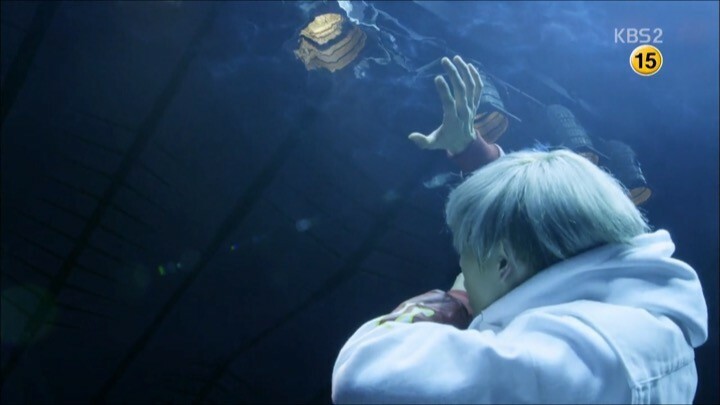 Shi Woo finally realizes that he has a special ability. 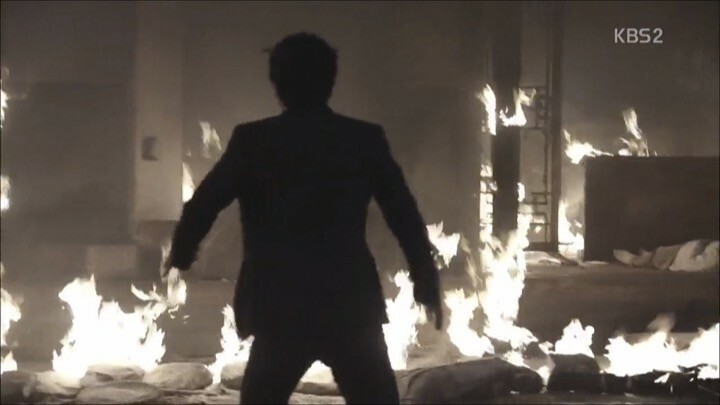 We’ve been seeing hints of his power throughout the drama, including a time when he inadvertently stopped stage lights from falling onto him. I’m surprised that it’s only coming to his attention now, which didn’t seem believable. It did, however, raise a question in my head: if Shi Woo and Sun Ah are meant to be siblings, did she not inherit any abilities of her own? Meanwhile, the Dean is forced to leave school as a self-sacrifice to protect the kids, who largely believe that he murdered Chae Yoon. Yet I have no sympathy for his predicament. As mentioned earlier, misunderstandings like these are avoidable if the adults just explained to the students what was really happening, so they can be more aware as well. 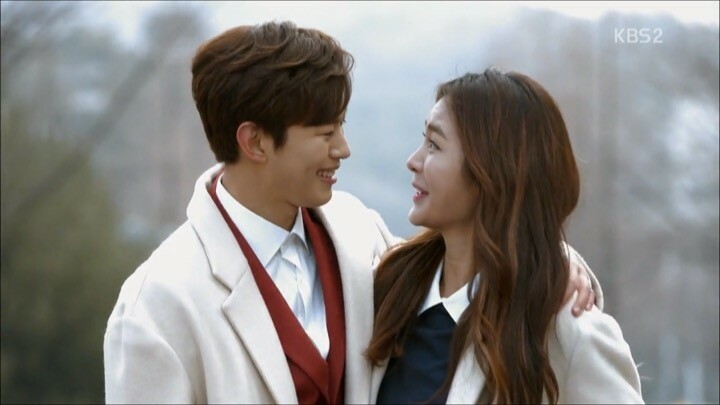 The final episodes of Moorim School had equally underwhelming execution as we’ve seen throughout the drama. 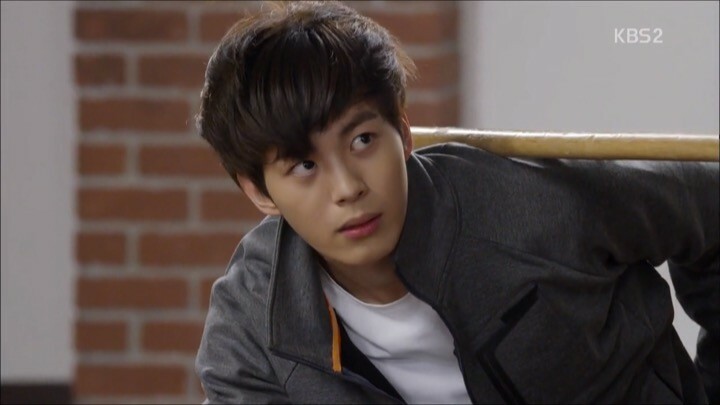 Chi Ang leaves the school to resolve any lingering feelings for Soon Duk and to find out his dad’s true intentions. He goes through an internal struggle, unsure what he should do about the Chintamani. On the one hand, he knows it could be dangerous in the wrong hands, but on the other, it could mean happiness for his family. Nonetheless, everyone is in a rush to look for the last piece of the Chintamani, and it’s just a matter of who gets to it first. When we finally learn what the Chintamani is, it’s quite the letdown. I’m not even sure it was worth basing the central conflict around it after all. 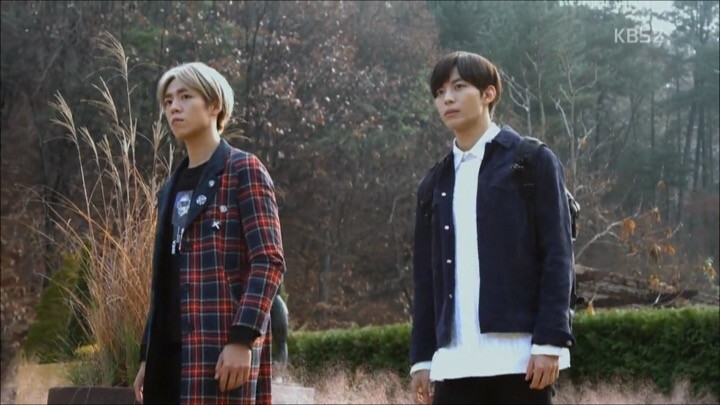 Either way, Moorim School ultimately wraps up with an unnecessary “seven years later” as a last ditch effort to bring closure to the characters’ future lives. Moorim School really struggled to find its footing amidst a myriad of mysteries that it’s been trying to hype up. Some of the mysteries were obvious and predictable, others were interesting but poorly explained. The characters lacked depth and the mediocre acting didn’t help either. All in all, the drama was just one big disappointing up until the very end.